If you're fed up with high electricity bills or just worried about your carbon footprint, then how about a technology that raises the possibility of computers and other electronic devices doing their thing on as little as 0.001 per cent of current power consumption levels? 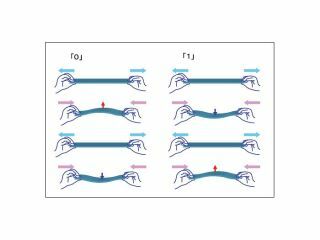 Researchers at Japan's NTT have used nanotechnology to create a semiconductor that can perform computations on just a tiny fraction of the power even the best current devices use. Using MEMS (microelectromechanical system) nanotechnology, the team has managed to produce tiny oscillating plates that reliably signal the zeroes and ones needed in calculations. Similar oscillation-based work - albeit on a much larger scale - has been done before, notably in NTT and Hitachi's Parametron technology 50 years ago, but the key lies in the power requirements of the new device. Holding a single bit of data requires just 10 picowatts, which is as little as one ten-thousandth of the power existing devices use. The fact that any MEMS computer would be much slower, however, means that several would be needed to achieve the same number-crunching ability, raising that fraction to around one thousandth. Whether the MEMS machine will ever result in super-low power bills and mega-long battery life for gadgets remains to be seen, but we may just have seen the future.